Pholio is having a bit of fun with new AI that is looking for celebrity lookalikes from history. 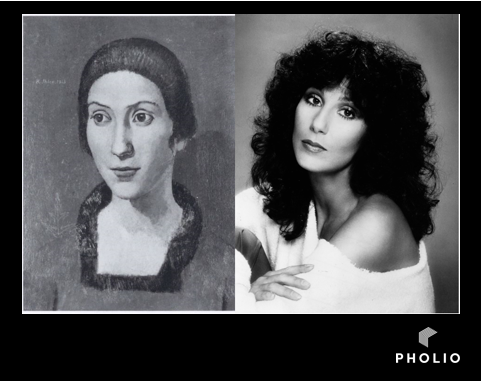 Apparently, we all have a doppelganger and photo album website Pholio is having a bit of fun with this theory, using AI to find celebrity lookalikes from history. The Witt Library (part of The Courtauld Institute) holds a collection of western art, covering the period 1200 to the present day and Pholio has trained its AI technology to look for lookalikes within the collection. Pholio, developed by CEO Simon Randall, his team of scientists, and academics from Oxford University, uses artificial intelligence to search through millions of images and recognise patterns instantly. The firm has worked with the Witt Collection (held by the Courtauld Institute) at Somerset House to automatically index their vast image collection. Pholio examines images added to the device and automatically finds and understands patterns. Once it has been taught to recognise a unique face or thousands of other objects, it will find any close similarities in any collection. Among the lookalikes found in the Courtauld’s huge 'family album' are Cher, Donald Trump, Simon Cowell, Paul Hollywood, Richard Branson and Hugh Jackman. You can judge for yourself how well you think the technology has done over on Flickr.